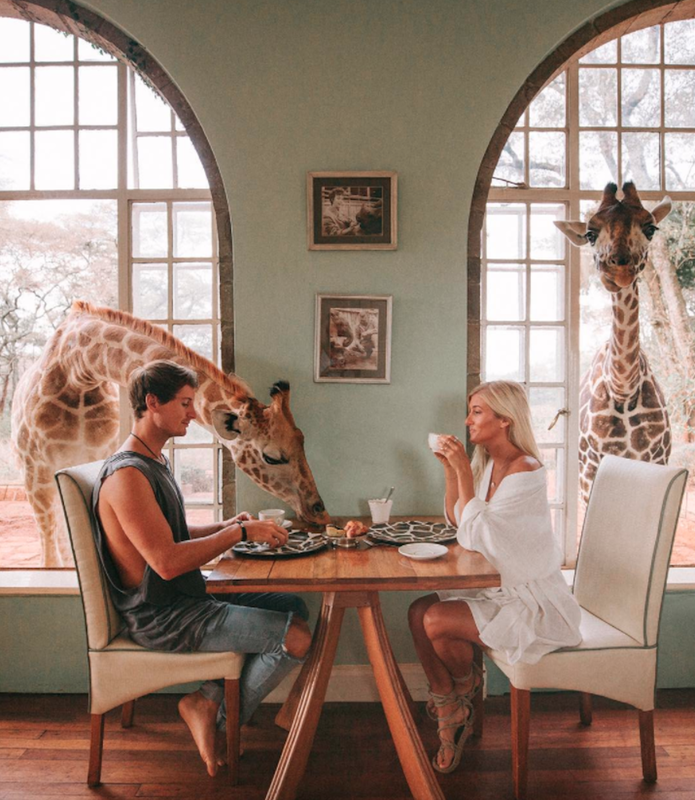 Instagram/doyoutravelJack Morris behind the blog ‘Do you Travel’ and his girlfriend Lauren Bullen @gypsealust have caused a media frenzy with many of their wanderlust-inducing Instagram shots. As the year gradually draws to a close, most of us will start to think of what 2018 will bring — specifically where our travels might take us. If you’re in need of some inspiration, Business Insider has teamed up with The Indie Traveller to bring you a comprehensive list of the most inspiring, wanderlust-inducing, and influential travel Instagram accounts on the planet. It measured the accounts on several metrics including follower count, follower ratio, account activity, and engagement rate. The “Top 100” list shows the accounts that are not only popular among users, but also highly active, and get a lot of engagement from their followers. It includes some of the biggest names in the travel influencer world, but also some exciting rising stars. Business Insider has compiled a list of the top 30 most influential accounts according to the algorithm. From dreamy travel couples to professional photographers, influencers, and ambassadors to some of the world’s biggest brands, scroll down to see the most beautiful and influential travel Instagram accounts on the planet, ranked in ascending order alongside their impressive follower counts. 30. @californiathroughmylens -- 19.5K followers. 29. @lebackpacker -- 454K followers. 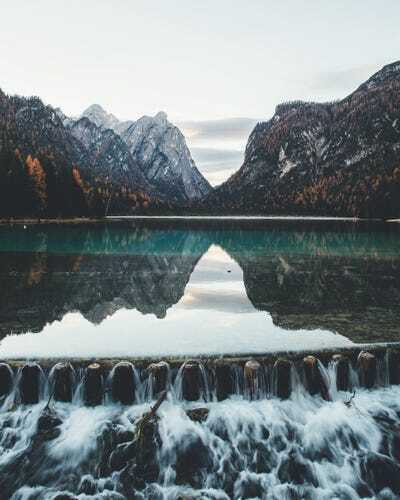 Belgian-born self-taught travel photographer Johan Lolos just returned home after a five-month summer road trip of across 17 countries, a project he called the 'Peaks of Europe.' He is also Toyota's latest 4×4 ambassador. Check out his blog here. 28. @chloe_t -- 251K followers. Aussie-born Chloe Ting says she is a 'Gymshark Athlete.' In addition to her globetrotting on Instagram, you can follow her fat burning and fitness tips viaher YouTube channel. 27. @kyrenian -- 1.3 million followers. Altug Galip 'kyrenian' describes himself as a traveller, adventurer, and entrepreneur. He's currently exploring Romania, where he took this photo of Dracula's Castlein Bran-Transylvania. 26. @funforlouis -- 1.5 million followers. 25. @mena_shootz -- 13.4K followers. Egyptian-Californian native Mena 'mena_shootz' is soon headed to Costa Rica. He spent three hours capturing this shot -- and also admiring the sky -- after hitching a ride down a closed stretch of road to this spot on Lake Tahoe. 24. @sayingyesis -- 18.5K followers. David Pomfret has been 'saying yes to life' all the way around South Africa on a VW Bus. Check out his blog here. 23. @wanderreds -- 69.4K followers. Alvaro 'Wander Reds' is on a mission to visit every country in the world, while still working 9-to-5. He's currently in Kenya. Above, he's photographed at Victoria Falls, Zimbabwe. 22. @booyasan -- 68.8K followers. 'Booyasan' is travelling and photographing the world. Above, he shot the sunset over Porto in Portugal. You can check out his photo store here. 21. @saltinourhair -- 93.4K followers. 20. @damonandjo -- 119K followers. Damon and Jo are YouTubers who say they grew bored of 'cheesy travel shows,' and so decided to make their own. You can check it out here. 19. @migrationology -- 162K followers. 18. @Jordhammond -- 111K followers. 17. @andyto -- 132K followers. 16. @lostleblanc -- 180K followers. Christian LeBlanc 'lostleblanc' says he escaped the 9-to-5 and now travels vlogging and filmmaking around the world. He's currently in the Philippines. 15. @thenomadsoasis -- 24K followers. Brazilian-Italian Celinne Da Costa says she is 'rediscovering humanity by travelling the world.' She's currently in Bali. Above, Da Costa is pictured in front of the iconic Dois Irmãos mountains in Rio de Janeiro, Brazil. Check out her blog here. 14. @mrbenbrown -- 714K followers. 13. @chelseakauai -- 456K followers. 'Live simply, explore often, consume mindfully,' she writes. You can check out her blog here. 12. @everchanginghorizon -- 499K followers. According to Quin, 'It's never too late to feel a little more alive.' Above, you can see one of his pictures of the Kootenay National Park. 10. @vancitywild -- 110K followers. Brie and Reuben are a Vancouver-based travel couple exploring the West Coast of America. Above is a shot of Brie at the Golden Ears Provincial Park. Check out their blog here. 8. @swedishnomad -- 103K followers. Alex the 'Swedish Nomad' is currently exploring the world with his girlfriend (pictured) and fellow Swede Christine Wedberg. You can check out his tips and travel guides via his blog. 7. @eljackson -- 369K followers. Samuel Taipale 'El Jackson' is a Norwegian photographer travelling the world with his wife @hilvees. 6. @sennarelax -- 767K followers. Senai Senna 'Senna Relax' is a Swiss traveller and influencer travelling the world and taking some stunning, colourful photographs. Above, you can see an image he took of the Neuschwanstein Castle in Bavaria, Germany. 5. @doyoutravel -- 2.7 million followers. Jack Morris behind the blog 'Do you Travel' and his girlfriend Lauren Bullen @gypsealust have caused a media frenzy with many of their wanderlust-inducing Instagram shots. They are based in Bali, but travel all over being paid by brands to post content. They say they can charge up to £7,000 a post. 4. @chrisburkard -- 2.8 million followers. Chris Burkard is a photographer and director travelling the world. Above is a shot he took in Utah, with the caption: 'Temples of dirt & rock so perfectly carved by water. I love appreciating the artist's work.' Check out his blog here. 3. @erubes1 -- 302K followers. 2. @alexstrohl -- 1.9m followers. 1. @jannikobenhoff -- 727K followers.